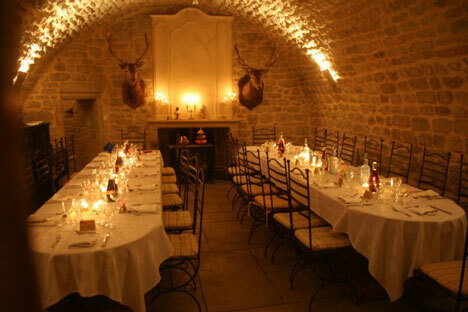 "ever thought it possible even, to have your wedding in a medieval castle in the south of France?".. Looking for something affordable in a truly incredible location? 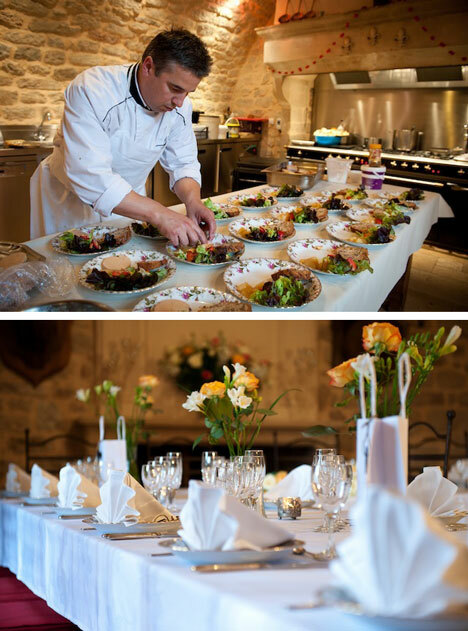 Have you ever considered, or ever thought it possible even, to have your wedding in a medieval castle in the south of France?! Cataloguing "hidden gems" has become one of our favourite pastimes, in the BRIDE.ca office; so when we came across this very unique yet surprisingly affordable destination wedding option, we had to share it with all of you. 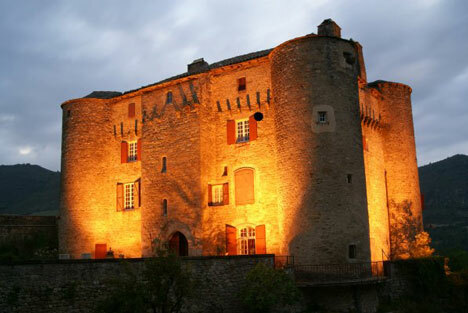 Château de Montalègre is in France's Midi-Pyrénées region in the southern part of the country. An authentic castle dating back to the 13th century, it has been completely renovated yet maintains its historic charm with four majestic towers at each corner and red shuttered windows overlooking the breathtaking landscape below (the property encompasses 175 hectares of land - almost 2 square kilometers; that should provide enough privacy, yes?). The castle itself offers 7 bedrooms, 6 bathrooms and a professional kitchen, plus two living rooms, a billiard and dining room. Fifty meters from the castle, a renovated farmhouse offers another three bedrooms, full bathroom facilities, a living room and kitchen. The property's modern comforts include a private swimming pool, internet access, and satellite TV. The castle and farmhouse combined will comfortably host a maximum of 27 people and are available to rent on a weekly basis with complete privacy guaranteed. 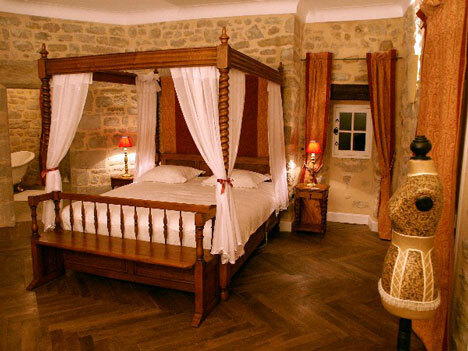 Rates start from 5000 EUR/week and vary depending on the season. (*)Individual room rentals are available for weekend stays as well. 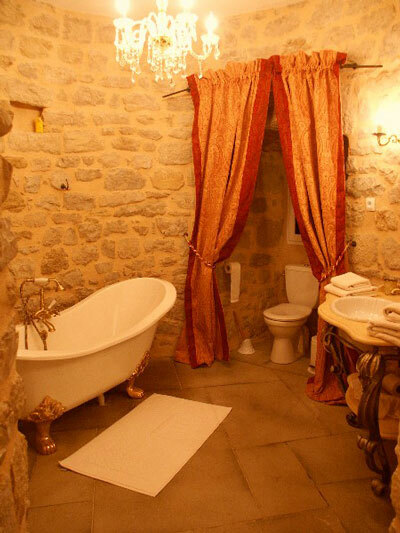 OK, so after you rent the castle (and farmhouse!) you will need to arrange for wedding services, some flowers, catering, music etc. Unfortunately, we do not have a BRIDE.france with helpful info for you yet! But it doesn't matter because the have an onsite wedding planner! Katy Windys, co-owner of the chateau, is a wedding and event coordinator that offers a variety of packages for events in the chateau. Her full service package includes booking all the necessary vendors for your event, like caterers, musicians, photographers, hair stylists, florists, decorators, an english speaking officiant, plus day of coordinating and managing. If, however, you want to do your own event planning, Katy offers packages that assist you with helpful advise or that give you the names and numbers of vendors in the community so that you can proceed with confidence knowing the companies you book are reliable. Katy charges a small fee for her services based on what level of service you require. Payment for each service provider would be made directly to each individual or company. Best Idea: get in contact with Katy directly, explain your situation, see how she can best organise this for you: website | email | tel: +33.972.131160. 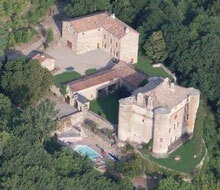 The castle is situated 676 kms from Paris, 354 kms from Lyon or 290 from Marseille and is accessible by car. 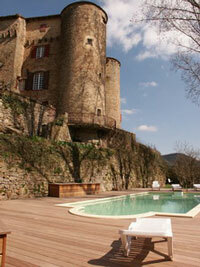 There is also daily train service from Paris to the town of Millau which is about 36kms away. Or, daily flights from Paris will take you to either the town of Rodez or Montpellier which are 90 kms and 117 kms away respectively. History anyone? Take advantage of Château de Montalègre's proximity to various other historical sites like Abbaye de Sylvanès, a twelfth century abbey, or the famous Roquefort caves where you can learn about the origins of Roquefort cheese. Outdoor enthusiasts? Hiking, mountain biking, dirt biking, and horseback riding are all activities that can be enjoyed while staying at the chateau. Opulence, history, privacy, old world charm.. what was once enjoyed only by royals and noblemen can now offer its beauty and serenity to couples looking for an extra special location to host their wedding in the company of their closest family and friends.